We spend the morning wading around the strip-mall district of Butte, gathering our new year’s licenses and a box of san juan worms and rubberlegs. When we pull off the road, ice and snow still blanket the bank, but the river is flowing. I wade in up to the small of my bank, trying to ignore the way winter whispers around my waist, speaking to me in temperature rather than words. 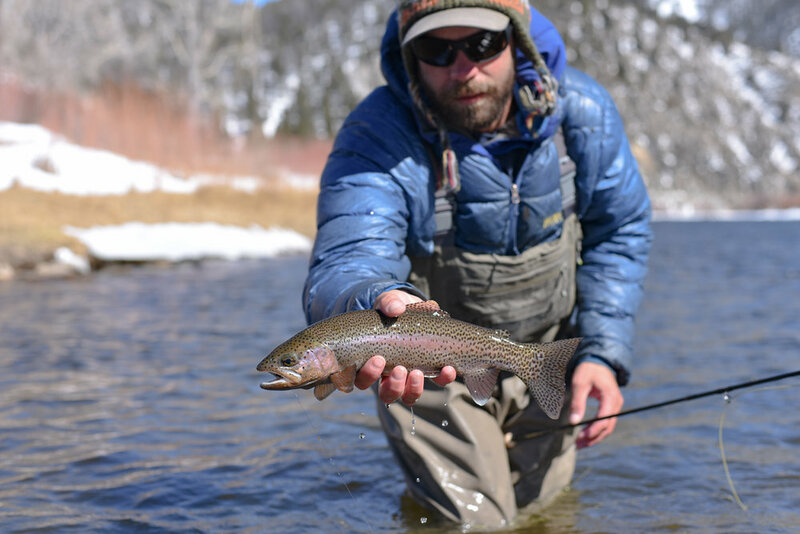 I pull a rainbow out of the run, then sit back in the almost-warm sun to try to warm up my hands. Hey there, spring, I think, and part of myself thaws too. Emerald Lens Media will never spam or sell your contact information. All rights reserved 2017 - 2019. Please do not reproduce without written permission from Emerald. Thank you!